Established in the year 2004, we Surya Arts, are into a business of Manufacturing our world class and high quality Indian God idols like gold Balaji, gold Saraswati, gold Ganesha, gold Krishna and gold Laxmi made of 24 carat pure gold and 999 silver to our customers in India and abroad. We are backed by our creative minds, our skilled craftsmen and artisans in order to bring the best and hence to produce products that are perfect in dimension and have soul capturing beauty in them. We have made our footprints in domestic as well as India subcontinent market. To exceed our clients’ expectations by focusing on chosen markets, continuously improving operations, and delivering the meticulously crafted idols in real gold and superfine silver, we have created a niche among our esteemed clients. 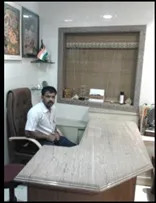 Under the guidance of our CEO "Mr. Shrirang Patil" we have a history of 7 years built on our success, since 2004. Our company is fully equipped to face various challenges of the modern times with a fresh & innovative approach. We always promise to offer exceptionally good products to our clients all over the nation and abroad. 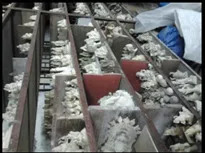 Manufacturing and Trading of Religious Idols. Our quality is our trademark. We manufacture each and every product made with high precision and superior quality. We undertake huge consideration while developing our Idols that these items fully reflect their quality in respect of Finish, dimension, polish and colour. For the attainment of required parameters for quality. We have our Quality Inspectors who ensures complete inspection even of the raw gold at the time of the procurement. In present times the gold industry has become more and more competitive. Therefore we are continuously engaged in bringing out the products that are of beauty precision and a total value for money solution. In this series we are proud to present the customized gold and silver idols in terms of size, weight, designs, material to be use and height so that our clients can proudly say that we have delivered them the best. We are catering to the varying needs of our products among our several esteemed clients who not only trust our services but also recommend our names in the market for our impeccable products and services throughout the country. Supported by a team of efficient professional craftsmen and artisans we have been able to emerge as one of the most sought after gold and silver idol manufacturer in the industry. After a strong foothold in the domestic market, we have appeared successfully in the international front as well. The Gods’ Idols made by us are of high aesthetic value and are well appreciated, which has enabled us to experiment further and produce variety of items.